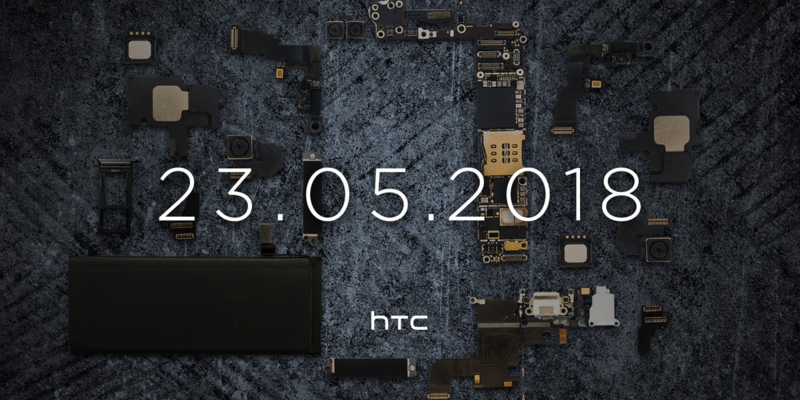 HTC took to Twitter today to tease the unveiling of its next flagship phone. What may be called the U12, U12+, or something different entirely is due to be announced May 20th by the Taiwanese manufacturer. We started hearing about the U12 way back in February when an early prototype leaked out at an industry event in Taiwan. Not much more than an 18:9 screen could be confirmed at that time. More details of the device (codenamed Imagine) emerged in March, suggesting an expected Snapdragon 845 chip along with dual rear cameras and up to 256GB of storage. At that time, everything pointed to the phone being released as the U12, but since then it's been rumored that there may be no smaller model and that the Imagine is the U12+. The same source also said that the launch date had slipped from April to May, which has indeed turned out to be true so perhaps we can expect a U12+ with no little brother. HTC's US Twitter account didn't say anything more about the device other than it's a "phone that is more than the sum of its specs." Since it's unlikely to have the same modern design as some of its rivals, perhaps that's some attempt by HTC to position itself as the plucky underdog in the spec race. You can clearly see all the internals in the image HTC shared, so there's no need to discuss those. The image does seem to hint that the phone will be made out of suede, but let's hope that's not the case. A recent leak from Evan Blass, below, shows a phone with a traditional glass back, much like its predecessor. We have just 20 days until we find out more.